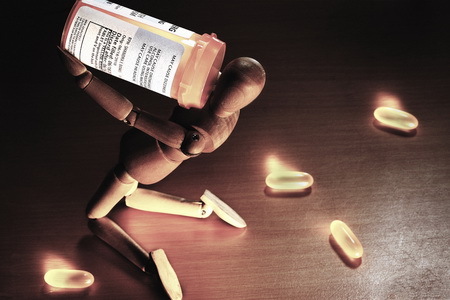 The problem of drug abuse has been prevalent over the past few decades. With every passing day, it is gaining more and more strength, and getting more vicious. The number of people getting addicted to drugs, developing diseases and disorders due to it, dying due to drug related health condition, having any co-morbid disease or disorder and overdose is increasing with every passing day. Even though such practices are strongly detested by authoritative officials and measures are being taken to control this epidemic, very little effect is seen on the whole. The problem is not just about the present generation; it also involves the coming generations. We may not realize the magnitude of this blow today but 15-20 years down the road, the after effects of this epidemic are going to hit us hard. It is a vicious cycle that will continue gaining momentum unless it is brought to a complete halt. The number of children and adolescents using drugs including alcohol, cocaine, prescription drugs, LSD, MDMA, etc., is increasing by leaps and bounds every year. The National Survey of Health and Drug Use reflects a very threatening image of the future if the current patterns keep following the same trend. We are looking at a picture of drug addicted generations that are dependent on all kinds of drugs from an age where their mind and body is still developing. This poses a serious risk not only to their health, but also their productivity, capabilities, and skills. We are also looking at a future of children being born with serious physical and mental disorders due to the usage of drugs by their parents, especially the mother. This means that a good share of the new generation is at a risk of starting a life full of disabilities and being dependent on the society instead of being able to fully, positively, and healthily contribute towards its betterment. Children might be raised without a proper and healthy family environment due to the interference of drugs in their and their parents’ lives or immature death due to several risky conditions associated with drug use. Family life would be highly compromised and a chance of unhealthy upbringing and nourishment of the children affected. We may not see or fully comprehend the dark shadows this malpractice of drug use has for our future but if it is not taken care of soon, learning to control it in the future might come at the cost of our younger generations. Making policies will not make any difference unless they are practically and effectively manifested. Strict control over the import, production, and distribution of all kinds of drugs is extremely important. Another important issue that has made the news is the abuse of opioiods, both by patients and sometimes by doctors. The Medical Society of the State of New York (MSSNY) offers a flyer from the New York City Department of Health on opioid abuse and is worth reading. Most commonly known as Prozac, Fluoxetine is an SSRI antidepressant; a selective serotonin reuptake inhibitor that is used to control the neuro-chemicals found in people who show symptoms of suffer from depression, anxiety or panic disorder, some kind of Obsessive Compulsive Disorder (OCD), or Bulimia Nervosa; which is an eating disorder. In case of depression in Manic Depression, Prozac is combined with Zyprexa to treat the symptoms. Many developed countries are plagued with depression, anxiety and other mental disorder. To handle this concern, pharmaceutical companies have introduced Prozac in various dosage weights and the supply is never ending. The most commonly used are SSRIs and they are developed due to the fact that, scientifically, depression is explained through the lack or imbalance of natural serotonin produced by the brain that keeps the mood balanced. Through Prozac, the level of serotonin is increased to help with the depressive mood. The use of this antidepressant has gained so much popularity that Prozac has been ranked, along with its generic variations, in the top three most prescribed antidepressants with 24.4 million prescriptions in 2010 alone. With the increasing use and advanced research, a great many side effects of Prozac have surfaced. Continuous use over an extended period of time results in some serious physical, behavioral, and psychological adverse effects. These mostly include itching and skin rashes, hyperactivity, and discomfort. Sometimes the consumers also report to have chills and fever or pain in muscles or joints. In rare cases, side effects like sweating, anxiety, changes in mood swings, headaches, hyperactive activity, tremors, shaking, unsteady gait, shaking while walking, or excitement while walking, etc. are observed. Some consumers also report to experience bloating, bleeding from gums, stools the color of clay or black, hallucinations, muscle rigidity, seizures, weak memory, severe skin reactions, etc. Most of the people taking Prozac experience a decrease or an increase in their appetite and often complain about hair loss, menstrual pain, frequent urination, loss in weight, etc. Studies on children have shown that use of Prozac is linked with increased suicidal tendencies, both in thought and behavior. Due to this reason, FDA took a series of stringent actions to make sure that the risk is lower. This included the introduction of Black-Box warning with Prozac prescriptions. People sometimes experience allergic reaction to Prozac as well. This is called anaphylaxis and is characterized by swelling of the tongue, throat, eyes, and sometimes the whole mouth or face. It also shows symptoms of hives, skin rashes, pain in muscles and joints, and difficulty in breathing. Usage of Prozac by females who are pregnant is also very risky. Similarly, the use of this antidepressant along with alcohol is also risky as on one hand it can make the consumer even drowsier, and on the other hand the use of alcohol can worsen the symptoms of depression; which is being treated through Prozac in the first place. Prozac is not essentially addictive in nature but continuous use can create tolerance.